1. 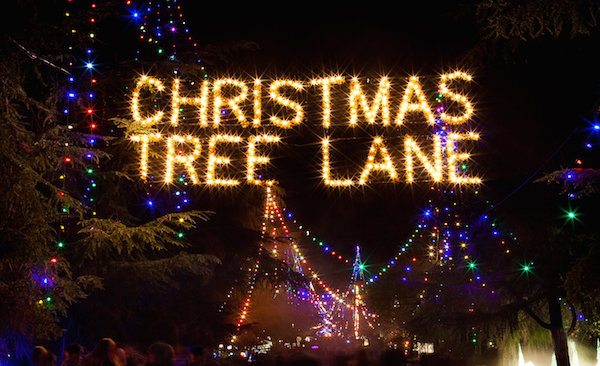 Gather your friends and family and take a stroll down Christmas Tree Lane. 2. 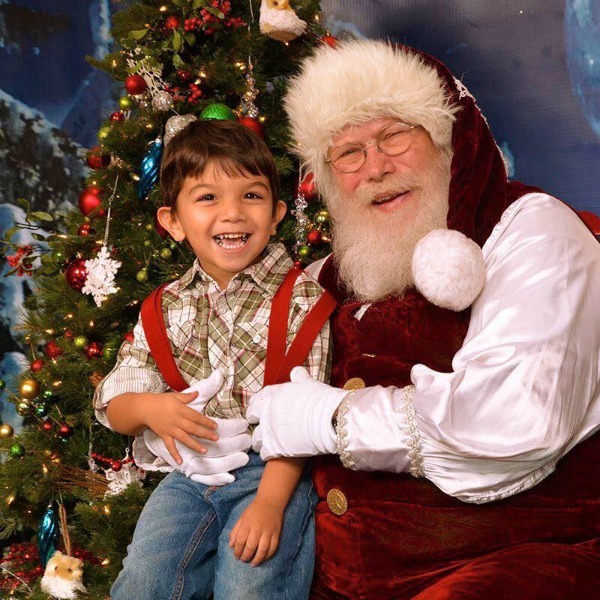 Take the kids to go visit Santa at River Park, Sierra Vista Mall or Fashion Fair Mall. A trip to meet “the real” Santa Claus is a highly-anticipated tradition for many children, and there are several wonderful options in the Fresno area. Fig Garden Village is also offering complimentary photos with Santa at the Christmas tree in front of Pottery Barn from 1pm-3pm on Saturdays and Sundays through December 18th. 3. 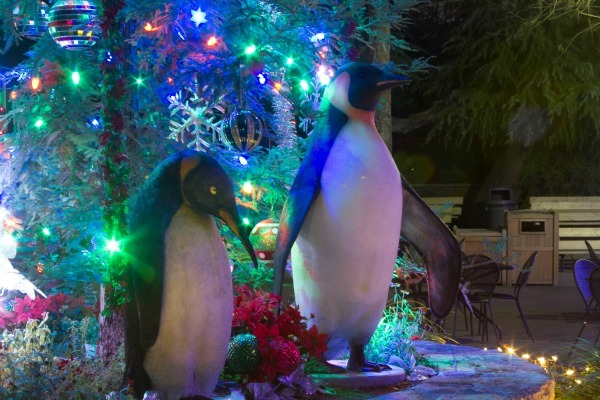 ZooLights- Enjoy the Fresno Chaffee Zoo in a whole new (very festive) life. 4. Take in a performance of The Nutcracker at Saroyan Theater. On December 10th and 11th, go enjoy a highly-entertaining performance of a holiday classic by the Central California Ballet. For ticket information: http://www.fresnoconventioncenter.com/eventlist/central-california-ballets-the-nutcracker-2/ Also at the Saroyan on December 14th and 15th, ELF The Broadway Musical. 5. 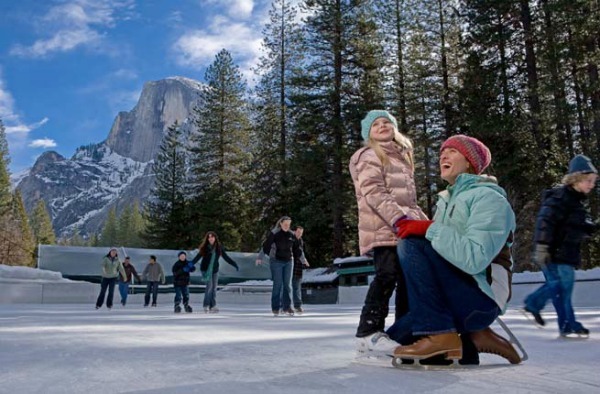 Day trip to Yosemite’s Half Dome Village Outdoor Ice Skating Rink. 6. Attend a Holiday Home Tour benefitting Valley Children’s Hospital on Friday, 12/2/16. 7. 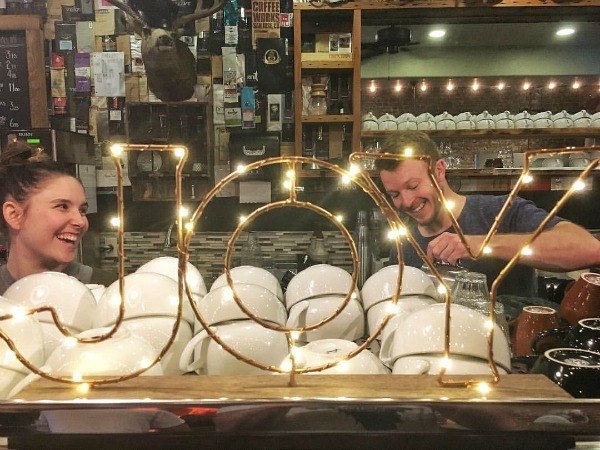 Enjoy a festive hot beverage and a cronut at Kuppa Joy Coffee House in Fresno or Clovis. This community-focused coffee house with locations in the Old Fresno High neighborhood and Old Town Clovis is the perfect place to meet up with an old friend and sip an expertly made cup of coffee, or whatever drink strikes your fancy, while supporting a small local business. We hear their Pumpkin Spice Latte is excellent! 8. 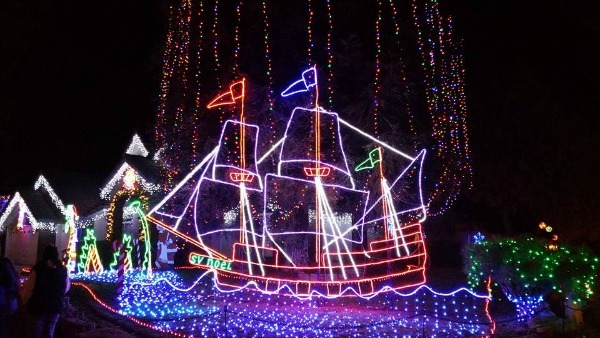 Visit Candy Cane Lane (Cindy Lane) in Clovis- 10 blocks of holiday lights! 9. Help serve a holiday meal at Fresno Rescue Mission or Poverello House. 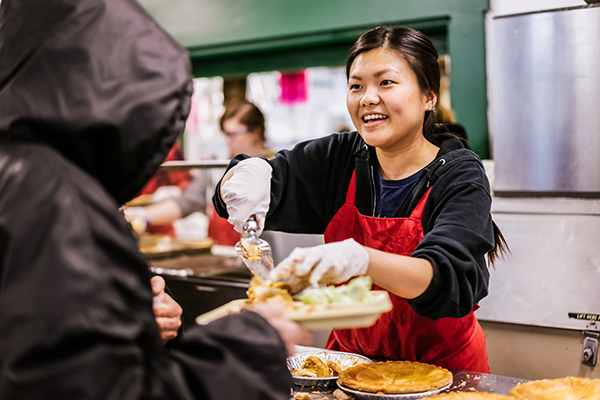 This time of year, it’s easy to feel consumed by materialism and holiday sale shopping, but the Christmas season is also filled with opportunities for generosity and giving back to our community. There are many wonderful charities in Fresno dedicated to meeting the needs of those less fortunate year-round. Why not connect with them this December and volunteer a few hours to serve the homeless or support a family who’s having a hard time? 10. 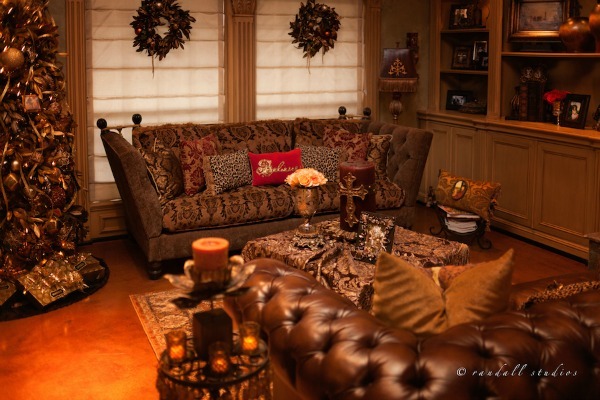 Spend some simple time at home, savoring the season. Though some may think this one should go without saying, so many of us find ourselves caught up in the busyness this time of year, yet somehow the significance of the season passes us by. Even though the parties and activities are also fun and memorable, make sure to remember to slow down. 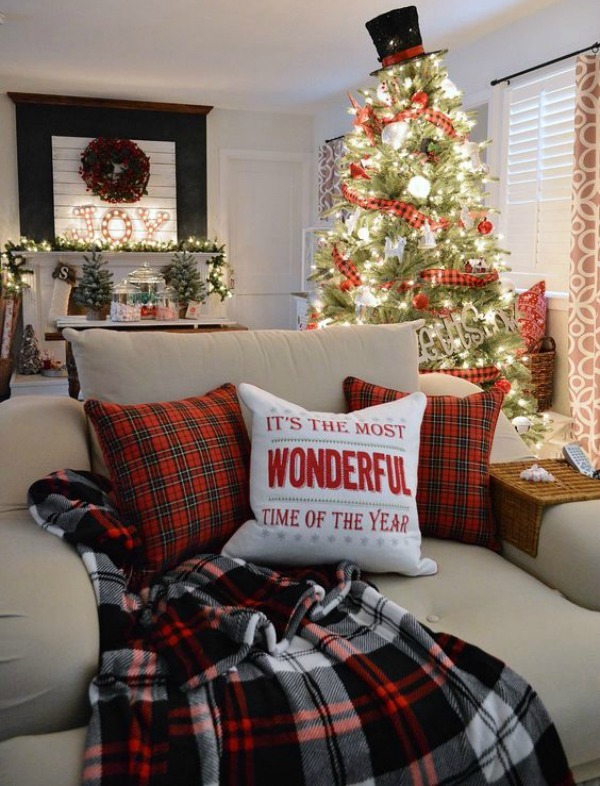 Sometimes the most special moments are spent simply, perhaps decorating the tree with nostalgic music playing in the background or watching a favorite Christmas movie by the fire with a cup of hot chocolate in hand. Happy Holidays from all of us at Raymer Team Real Estate!